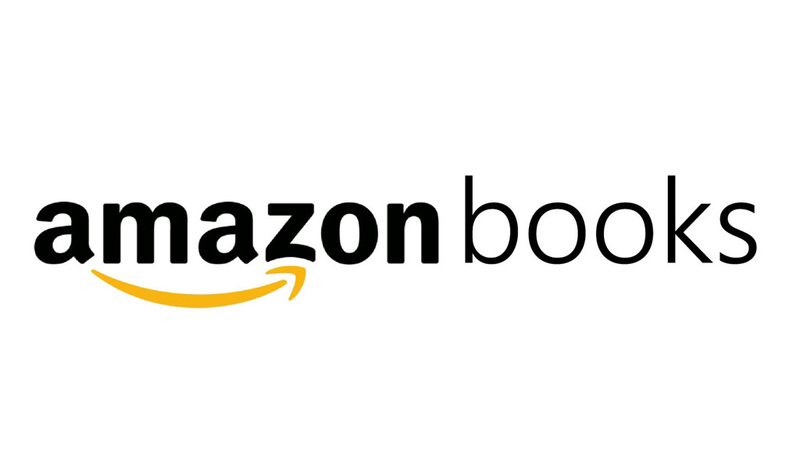 These are specially selected books because they are primarily first person accounts that are very readable and very revealing of political realities and human behavior. 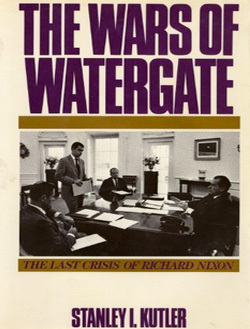 Watergate unfolded like a combination of a Shakespearean drama as Nixon tries to escape the noose of truth while the daily broadcasts of the Watergate hearings brought the country to a uniform standstill and played like one of the best serialized dramas. The characters in the drama – the authors of the books below and Nixon’s adies – are all people true to their principles and points of view. 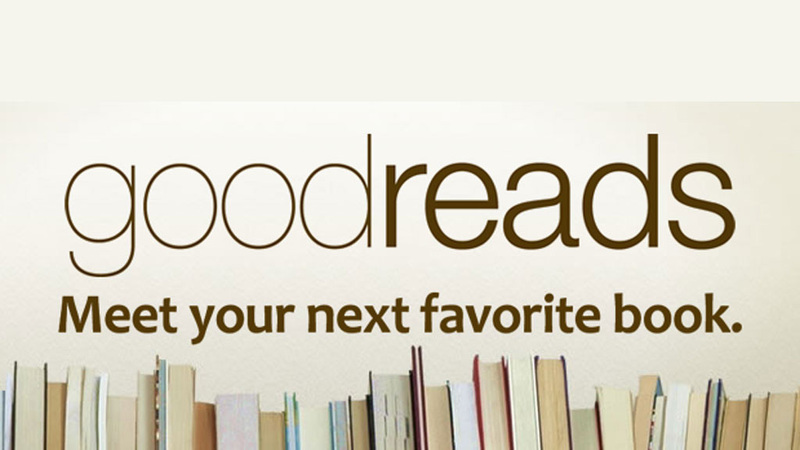 These books are worth reading in succession. The end point of this mass or books is an obsession for the truth and a reverence for the Constitution. 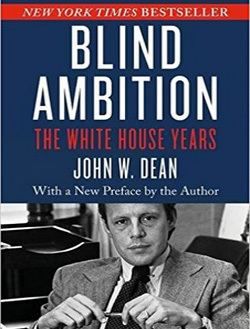 John Wesley Dean III, President Nixon’s White House Counsel, cooperated with the Senate Watergate Committee and Watergate Special Prosecutor’s Office. Riveting account of working in the White House and making the decision to break rank and cooperate with the lead investigations. 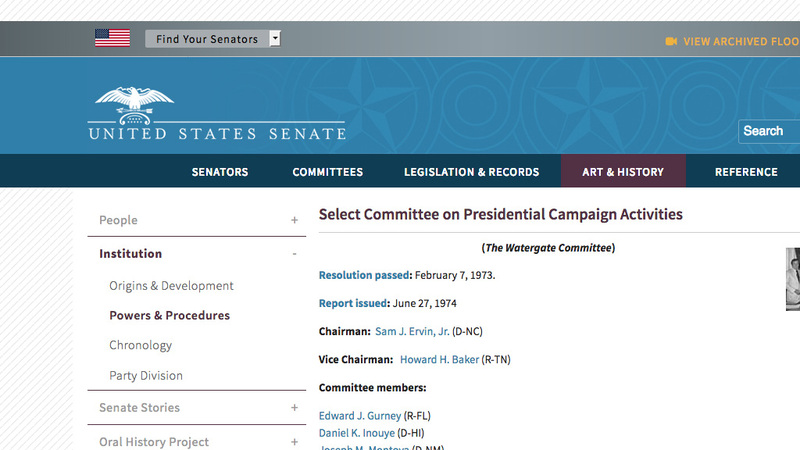 Sam Dash, Chief Counsel of the Senate Select Committee on Presidential Campaign Activities (Watergate Committee) was was staff director of the three staff investigation groups: Break In & Cover Up, Campaign Finance, Dirty Tricks. Dash became expert at navigating partisan and staff politics. 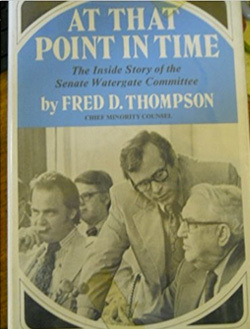 Fred Thompson, Minority Counsel (later Senator and Actor) Senate Select Committee on Presidential Campaign Activities (Watergate Committee), headed the Republican investigation and worked cooperatively with the Chief Counsel Sam Dash. 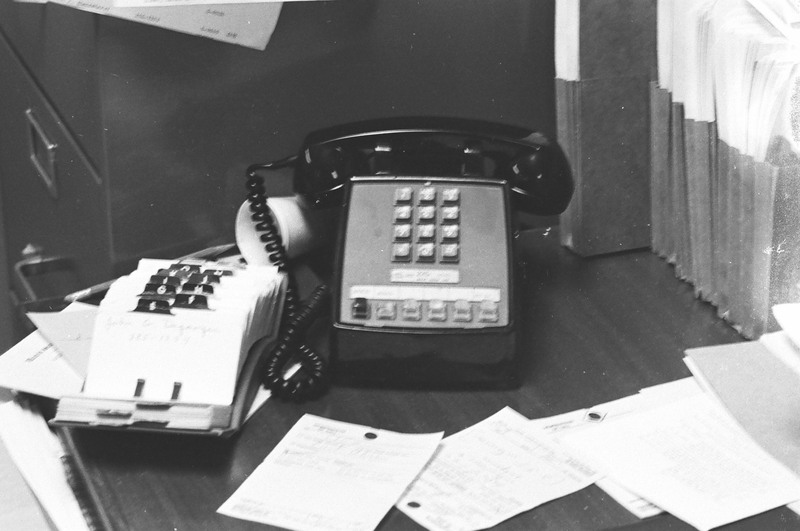 Thompson worked closely with Senator Howard Baker (R-TN) the Ranking Minority Member of the Select Committee. 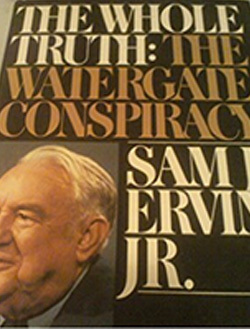 Senator Sam Ervin (D-NC), Chairman of the Senate Select Committee on Presidential Campaign Activities (Watergate Committee) whose wise hand and learned mind guided the Senate investigation with the truth as the only goal and upholding the Constitution as the primary objective. 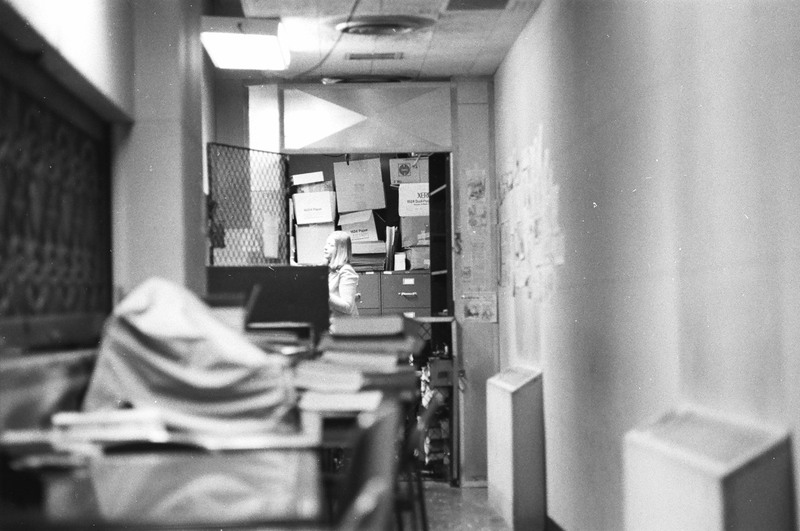 Ervin was in late 70s when he chaired the Committee. This authoritative account is his personal account. 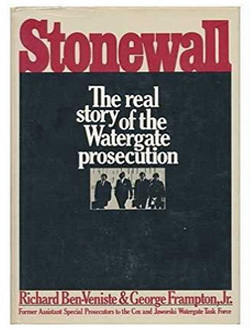 Judge John Sirica, US District Court for the District of Columbia, and the Watergate grand jury take the burglary from an obscure break-in to a full national and Constitutional crisis from which President Nixon on escaped going to jail with his co-conspirators because Special Prosecutor Leon Jaworski declined to sign the Nixon indictment, knowing that Impeach process would handle Nixon singularly. 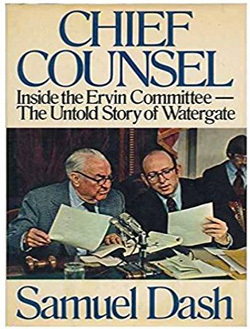 Richard Ben-Veniste, George Frampton, Jr, Assistant Special Prosecutors, were both young maverick prosecutors part of both Special Prosecutors’ teams. 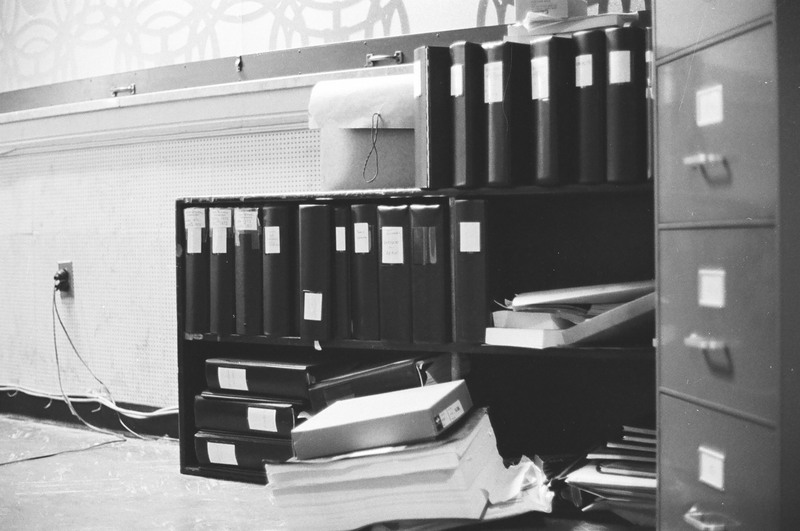 Under Special Prosecutor Harvard Professor Archibald Cox, Ben-Veniste and Frampton bloomed as investigative leads. 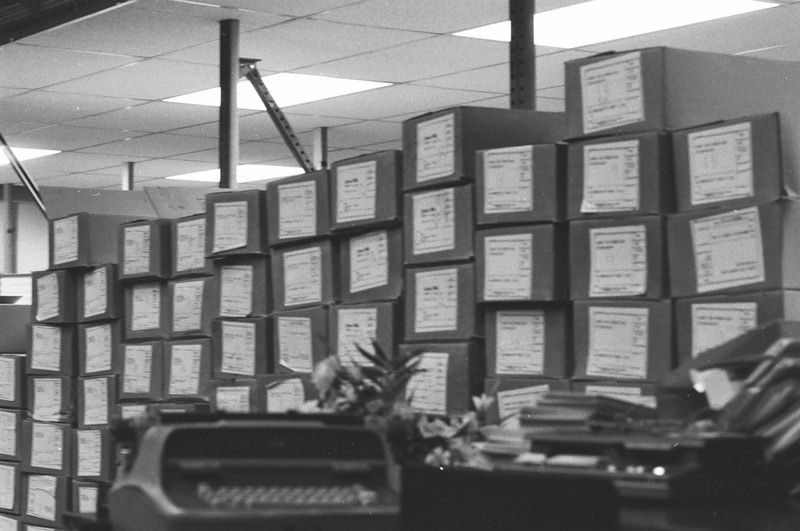 Their fates changed under the more circumspect Texas lawyer Leon Jaworski who was able to get more tapes from the Nixon administration but would not consider the grand jury’s request to prosecute Nixon for the same crimes as his co-conspirators. 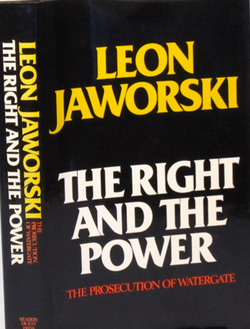 Leon Jaworski, private attorney once head of the American Bar Association, became Special Prosecutor after President Nixon had Archibald Cox fired in the infamous Saturday Night Massacre. 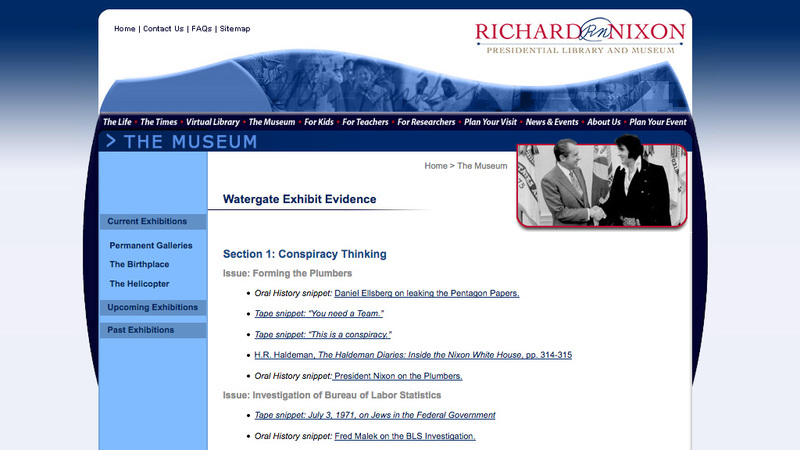 Ultimately, Jaworski made political decisions not prosecutorial ones in the case of President Richard Nixon. 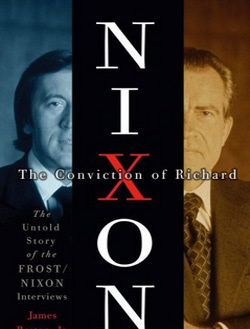 The Conviction of Richard Nixon: The Untold Story of the Frost/Nixon Interviews / James Reston, Jr.
President Gerald Ford granted Richard M. Nixon a pardon on September 8, 1974, one month after Nixon resigned from office in disgrace. 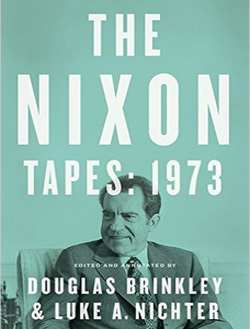 Effectively removed from the reach of prosecutors, Nixon returned to California, uncontrite and unconvicted, convinced that time would exonerate him of any wrongdoing and certain that history would remember his great accomplishments—the opening of China and the winding down of the Vietnam War—and forget his “mistake,” the “pipsqueak thing” called Watergate. 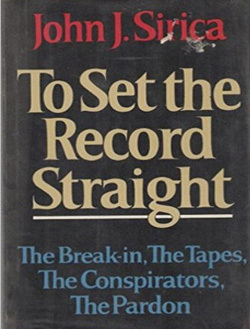 This is the first truly comprehensive history of the political explosion that shook America in the 1970s, and whose aftereffects are still being felt in public life today. 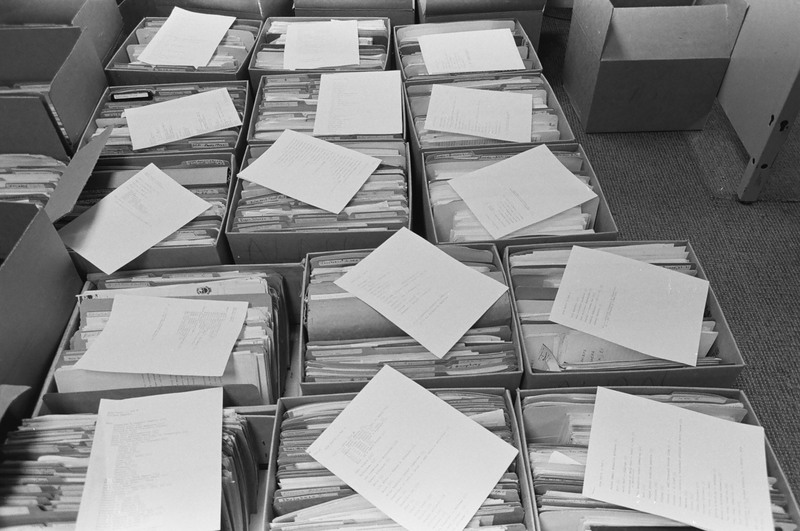 Drawing on contemporary documents, personal interviews, memoirs, and a vast quantity of new material, Stanley Kutler shows how President Nixon’s obstruction of justice from the White House capped a pattern of abuse that marked his entire tenure in office. 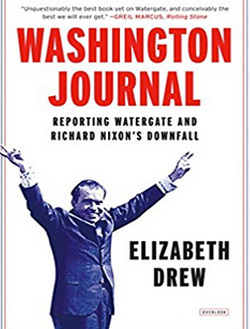 Originally published soon after Richard Nixon’s resignation, Elizabeth Drew’s Washington Journal is a landmark work of political journalism. Keenly observed and hugely insightful, Washington Journal opens in 1973 and follows the deterioration of Richard Nixon’s presidency in real time. 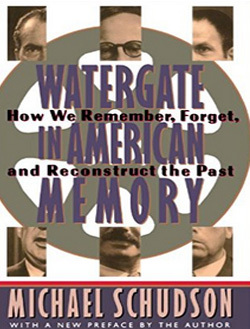 A look at what Americans remember (and what they have forgotten) about one of the most traumatic domestic political event in the America’s post-war history.